40in x 54in. Full size patterns, full size placementsheets & instructions. 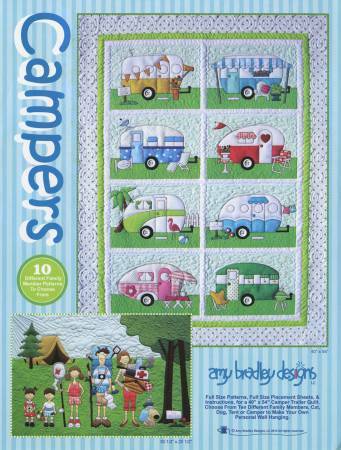 Choose from 10different family members - cat, dog,tent or camper to make your ownpersonal Wall Hanging.